Looking for timeless and elegant, classic checks? You'll find a large selection of parchment checks, classic blue safety checks, and monogram personal check designs here at Value Checks. Plain checks come in the standard blue and green safety checks as well as pink or yellow checks. You'll find that writing out your checks is a simple thing to do and the classic personal checks style make it easy for the payee to read. 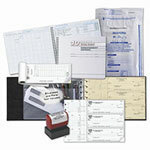 Printed on high quality premium check paper, you'll find these traditional check designs easy to use and simple to order. If you were ever in doubt about which personal checks to choose from, our collection of traditional checks is a safe choice. From the elegant monogram style with fancy lettering in the sand to just a plain blue check design, you can make these checks look awesome. Custom lettering with choices of fancy script or other font styles, can help you make quite a statement when you pay your payees. Some like the anitque checks look with the parchment style in the background, while others like the blue marble like design. You will also find side tear checks in this collection. Most checks come with the side tear option so if you find a design you just absolutely love, it most likely will be available in this style. Plain and simple designs come in tan, blue, green, gray, yellow, lavender and pink. Don't hesitate to order from this collection. You won't go wrong. Thank you for shopping at Value Checks where you can order cheap classic checks and get a great bargain!